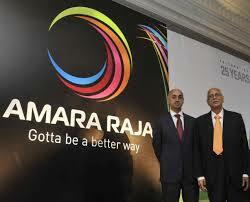 Amara Raja Batteries Ltd is down for a fifth straight session today. The stock is quoting at 734.75, down 0.19% on the day as on 13:19 IST on the NSE. The benchmark NIFTY is up around 0.61% on the day, quoting at 10640.95.  The Sensex is at 35354.34, up 0.6%.Amara Raja Batteries Ltd has lost around 3.29% in last one month.Meanwhile, Nifty Auto index of which Amara Raja Batteries Ltd is a constituent, has increased around 0.34% in last one month and is currently quoting at 9051.4, up 0.91% on the day. The volume in the stock stood at 1.65 lakh shares today, compared to the daily average of 4.94 lakh shares in last one month. The benchmark November futures contract for the stock is quoting at Rs 732.9, down 0.15% on the day. Amara Raja Batteries Ltd tumbled 7.33% in last one year as compared to a 4.17% rally in NIFTY and a 18.13% fall in the Nifty Auto index. The PE of the stock is 26.34 based on TTM earnings ending September 18.